Break down a project into digestible pieces. Utilize the Lightning Design System to rapidly prototype. 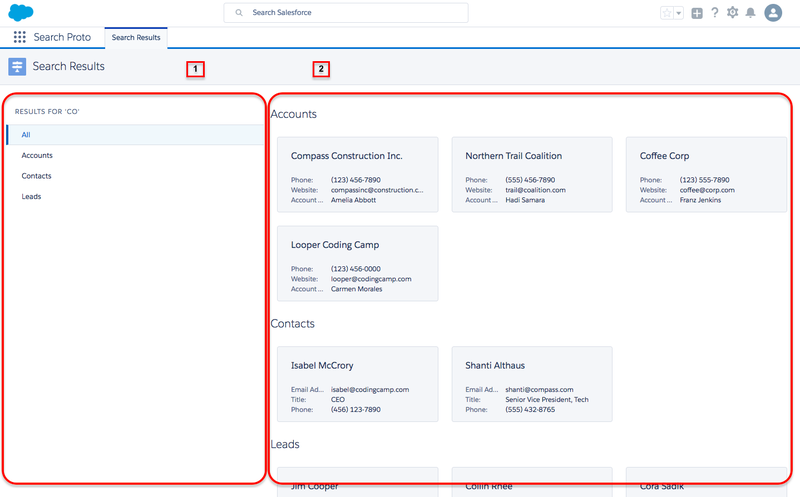 Create a prototyping environment inside Salesforce. As of Spring '19 (API version 45.0), you can develop Lightning components using two programming models: the Lightning Web Components model and the original Aura Components model. In this module, we create an Aura component. To learn about Lightning Web Components, see Build Lightning Web Components Trail. Starting with a blank page can be daunting. Luckily we have the screens our designers created to help get us started. We use them to break the content into a set of columns to give our layout a grid system. Ask yourself, is it one large column, or a 1/3–2/3 setup? Is there a header across the top that takes up the full width? Once that’s done, let’s break down the design further into components, like tab sets, data tables, or cards. This is best done using the Lightning Design System. 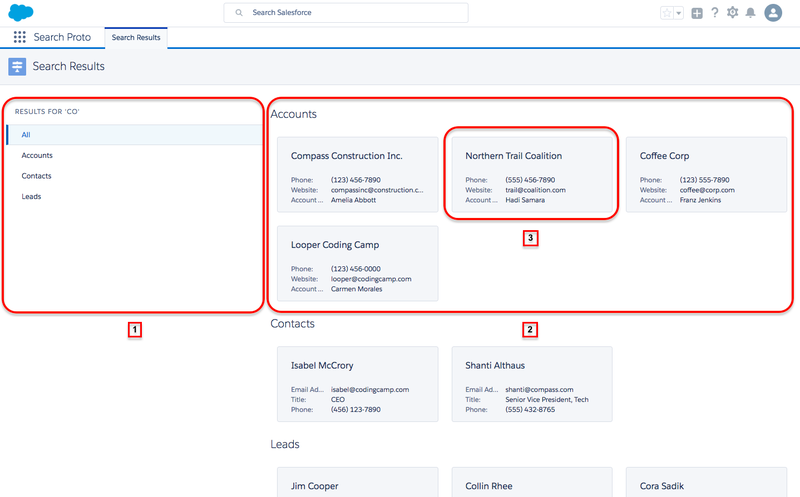 By using the Salesforce Lightning Design System (SLDS), we can translate the different sections of the designers’ screens to specific Lightning components that will make development easier. The design system offers code blocks for many common user interface components, such as data tables, tab sets, and cards. In addition, there are also base lightning components available through Salesforce that we can use without needing to worry about the underlying code. By using both the Lightning Design System and the base lightning components, we can map each portion of the design to components and plan for the pieces that have to be custom made. This lets us put more of our energy toward the implementation. Now let’s create an application inside our Trailhead Playground where we'll implement our prototype. Create a new Trailhead Playground for this module. Using an existing org might create problems when you check the challenge. By using the Lightning Design System and base lightning components, we can quickly produce a prototype to share with stakeholders. We create our prototype over 5 steps. Follow along in your Trailhead Playground. Name the app Search Proto. Clicking on the Developer Name input will auto fill the Developer name to Search_Proto, leave as is. Click Next again (we don’t need a utility bar). We’re not going to add any items to our app yet, so leave Selected Items blank and click Next. Highlight all Available Profiles and click the Add icon to move them to Selected Profiles. 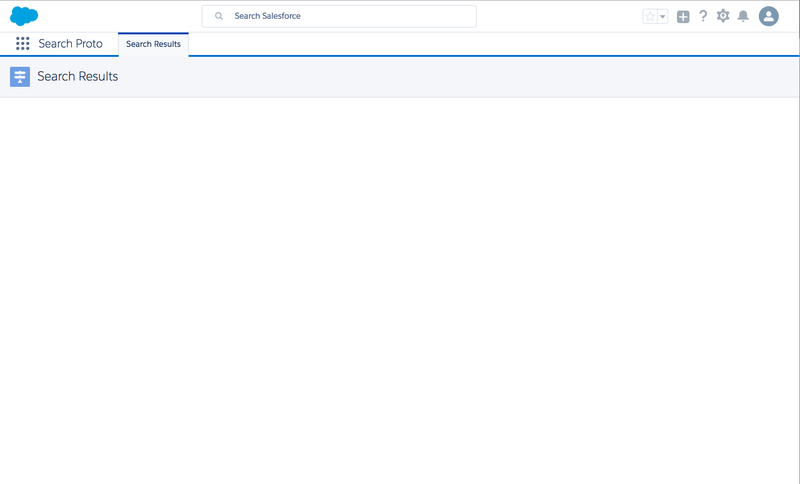 From Setup, enter Lightning App Builder in the Quick Find and select Lightning App Builder. Click New to add a new lightning app. Name the page: Search Results. Select the Header and Left Sidebar layout and click Finish. 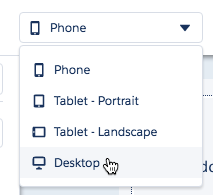 In the page editor, use the view selector dropdown at the top of the page and choose Desktop. Click Save and then Activate. (Optional) Change the app icon. Under the Lightning Experience tab, click our Search Proto app, and then click Add page to app. Click Back in the top right corner of the page. Click the App Launcher and select Search Proto. You should now see a blank Search Results page in your Search Proto app as one of the app’s tabs. Click the setup gear icon and choose Developer Console. 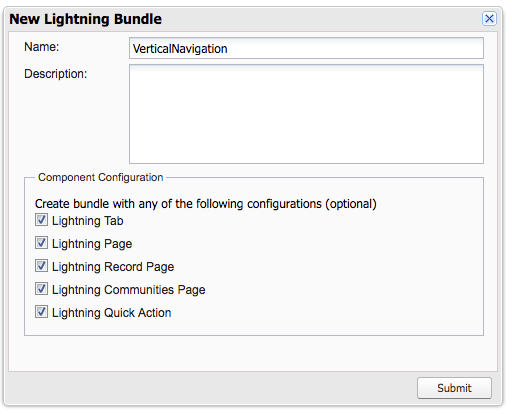 In Developer Console, select File › New › Lightning Component. Enter VerticalNavigation as the name. Select all the configuration option checkboxes. Still within the Developer Console, select File › New › Lightning Component. Enter ResultsSection as the name. Back in your org on the Search Results page, click the setup gear icon and choose Edit Page. In the Page Editor, look for VerticalNavigation and ResultsSection components under Custom components. Drag the VerticalNavigation component into the left sidebar (the narrow column) of our page. Drag the ResultsSection component into the main body (the wide column) of our page.